Where, when and why? 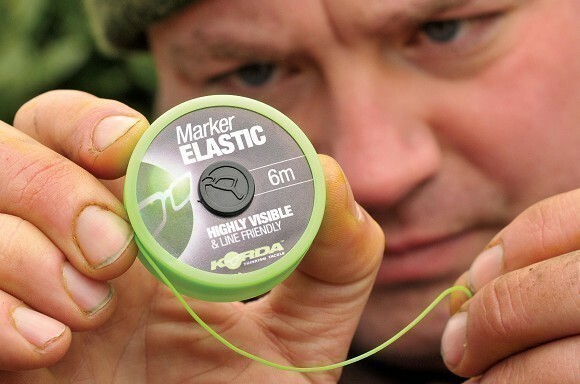 The most variable tackle for different conditions. It is used only for fishing with the pop-up. Guarantee a compelling presentation of the bait on any bottom. It almost never immeshes. It is preferable for far casting. It is suitable for fishing with a single bait or over the pop-up lure. Take a starting position on the bottom when unwanted small fish disrupts it. How to make a “chod-rig”? 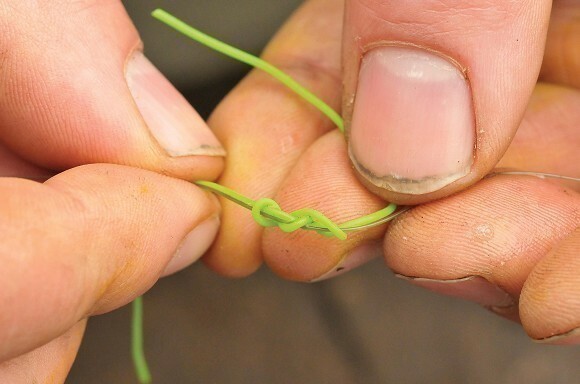 How to tie a “marker knot”? Step 1. 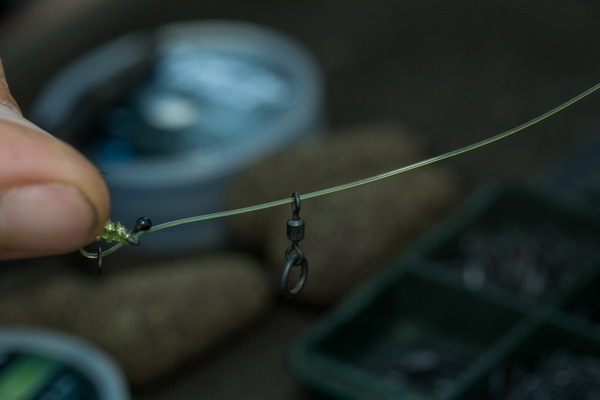 To make a chod-rig you need to use trace material which has unique features, it allows the gear to take a specific bend for high efficiency. 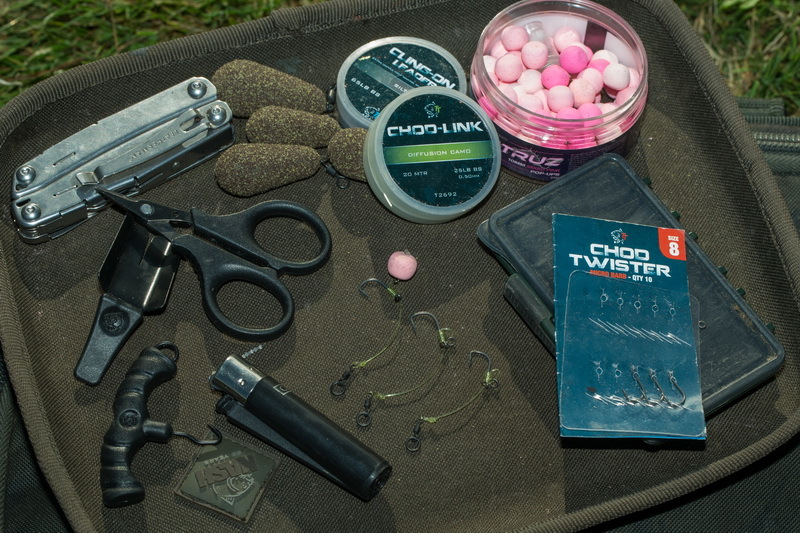 Alan Blair uses Camo Chod Link with a 0.5 mm diameter in a tensile load of 25 lb. Step 2. 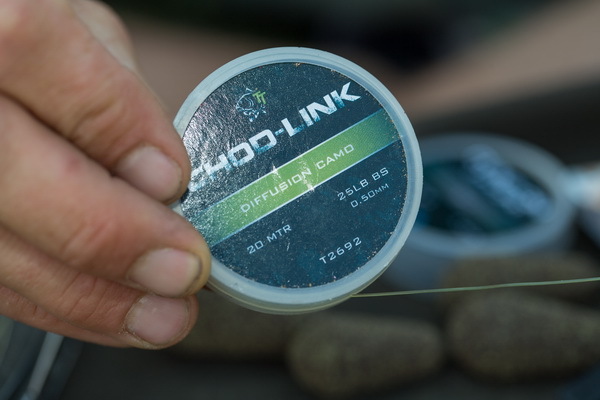 Take a piece of Chod Link material with a 15-20 cm length. Leave a 5 cm length “hair”, turn it over five times to form the nodeless knot. 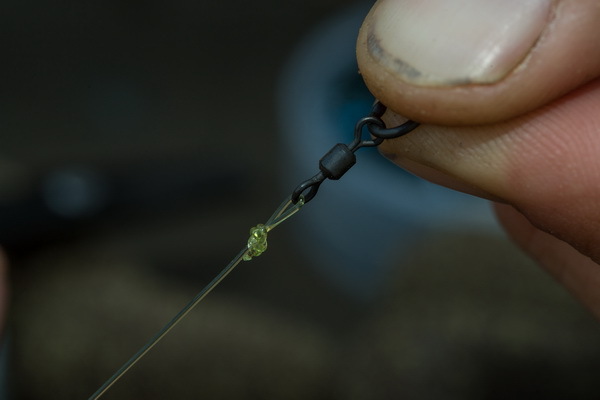 Alan turns the free tip of Chod Link over the coil of nodeless knot 2 times before pulling it through the hook. Step 3. 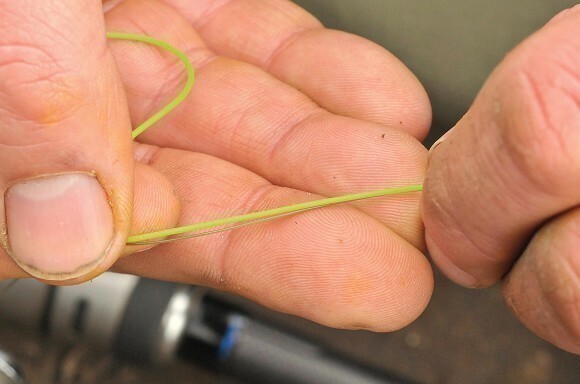 If you plan to leave the bait in the water for a long time, you should use a hook ringlet with a 2.5 mm diameter. 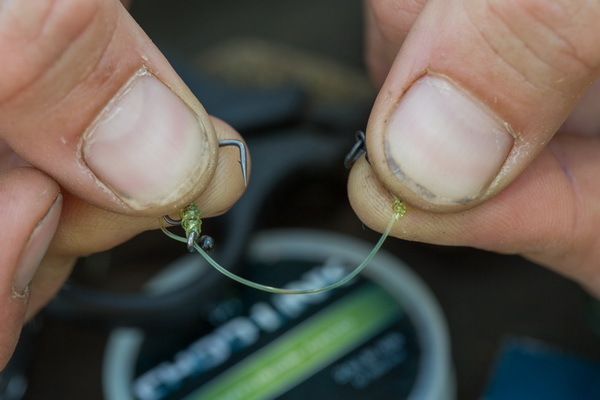 If you plan to cast every few hours, then use the screw for pop-ups for quicker and easier fixing of the bait. Step 4. 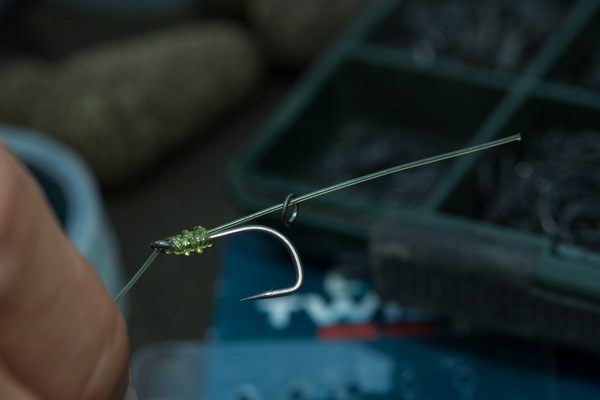 Pull the free tip of the “hair” to the opposite direction through the hook to form a D loop. Pull the tip through the Special flame protection Rig Flame Shield and hold it up to the lighter. 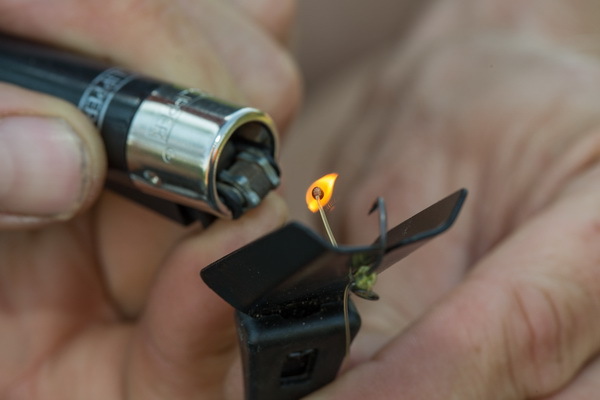 When the tip will burn to the point of contact with the flame protection you should snuff it out. Now you can forget about burnt fingers. Step 5. Pull the free tip of the trace through the small eye of the swivel with the ringlet. Place the pin at that distance which you need in the bait. Step 6. 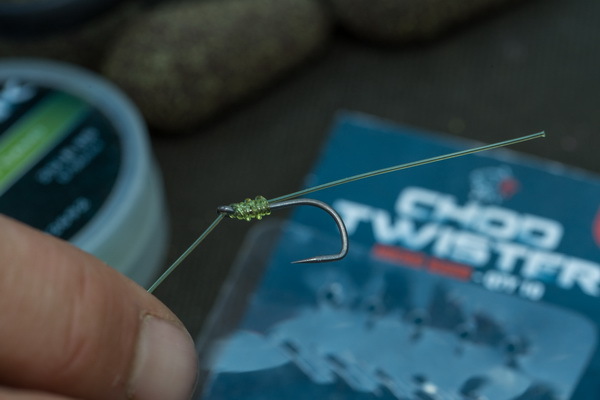 Double up a trace in the opposite direction and tie a typical “overhand” knot, pulling swivel through the loop. 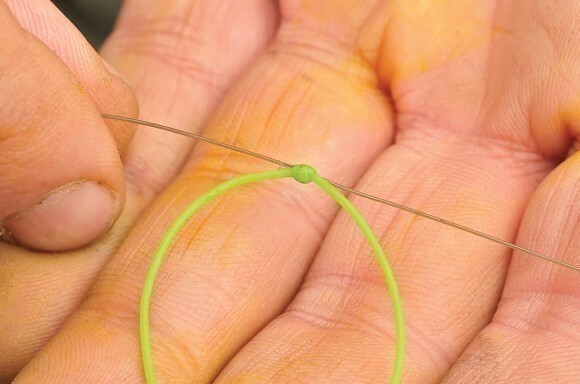 The usage of this knot helps you make very short chod-rig. 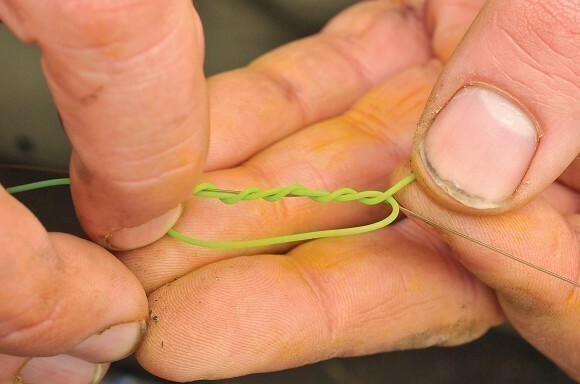 Other knots work worse there because the trace becomes longer when tying the knot. Step 7. Make sure that the look near the swivel is not big but flat and round. It allows to save a right presentation of the bait and gives the better mobility to the trace which helps to strike better. Step 8. Prepared chod should bend in the shape of C letter. 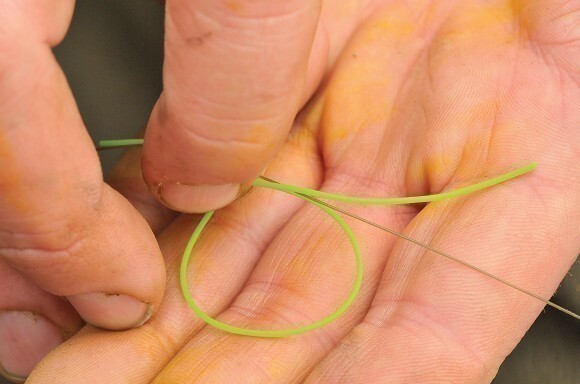 It allows him to roll during the casting and to strike better when carp take the bait. 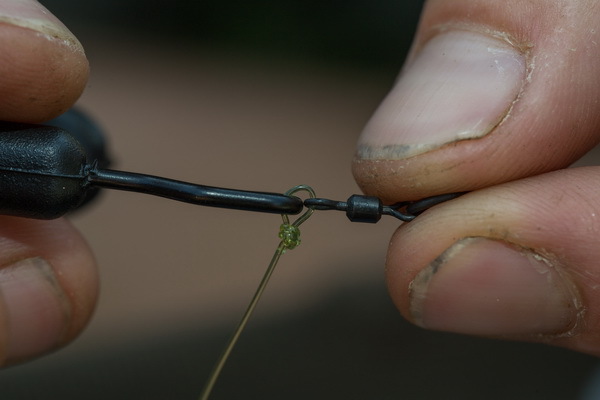 It is not necessary to bend the Chod Link below the steam; you can shape it with your fingers. Step 9. 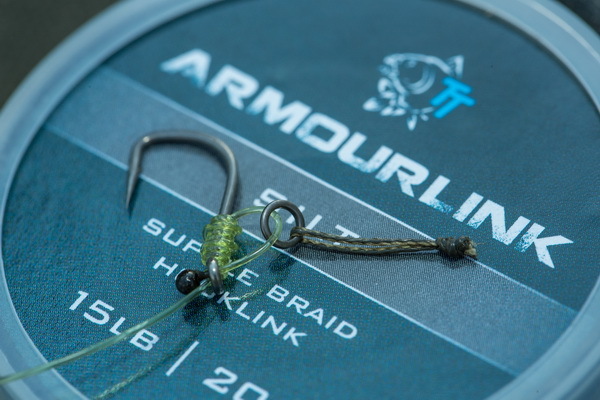 Take a small piece of Armourlink in a tensile load of 15 lb or thin inner braid Comlink. Pull it through the hook ringlet, tie an “overhand” knot and make a hair with a length suitable for your pop-up. Cut off excess. Step 10. Making chop-rig will make not more then 1-2 minutes if you have experience. 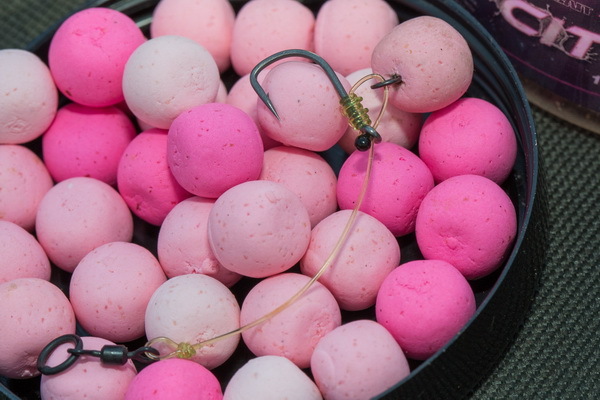 Add pop-up Citrus with a 10mm diameter, and you will have an unusual combination of bait and gear, which can use wherever you want, and you will get an excellent opportunity to fish carp. The marker knot is used to indicate the needed distance on the main line. It is the necessary thing to cast the fishing rod into the same place every time. You need scissors and a special Marker Elastic to tie a marker knot. Cut off about 15 cm of marker elastic as you see in the picture. Now place it parallel to the main line as you see in the picture below. Then make a loop near the main line. 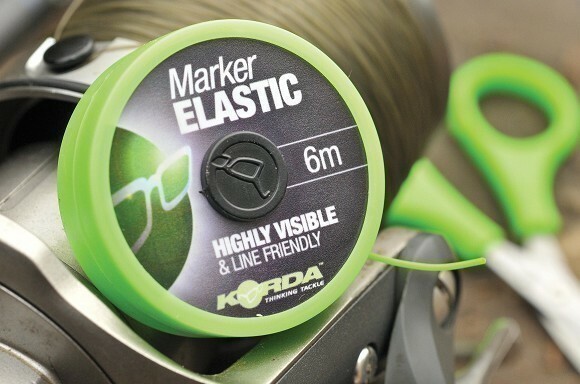 Pull the free tip of the marker elastic through the loop and then wind it around the mainline several times. Wet the knot and tie it well. You will have a neat small knot fixed on the main line. It’s almost ready. 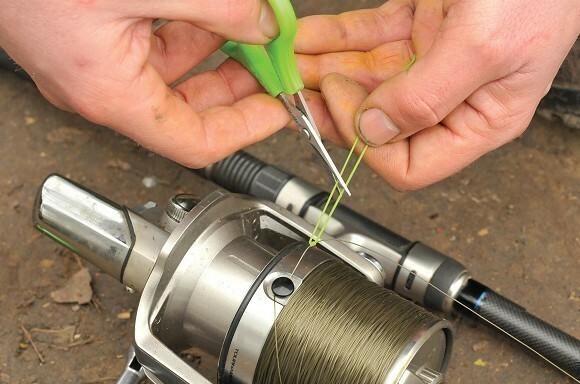 Not cut off excess to improve the casting. How to make an effective “Multi Rig” rigging? How to fish carp with a float?